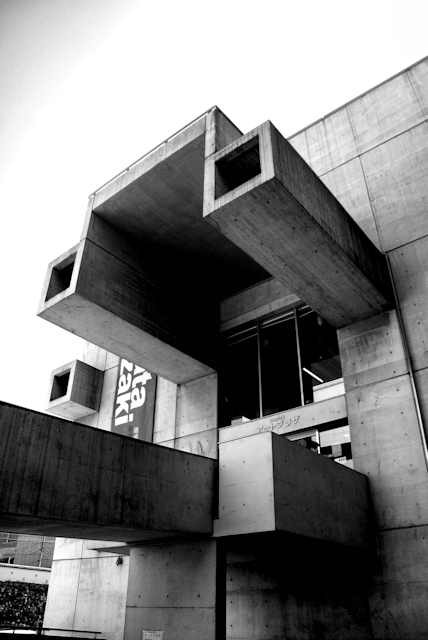 One of my favorite Japanese architects is Arata Isozaki. 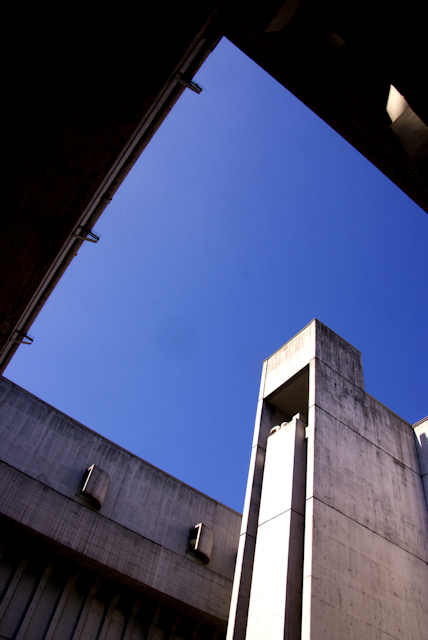 He was born in Oita in 1931 and after graduating worked under Kenzo Tange. 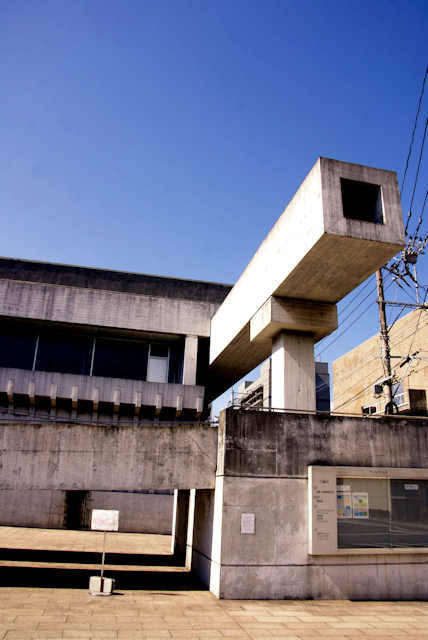 The first building he completed after becoming independent was the Prefectural Library in his home town of Oita, completed in 1996. 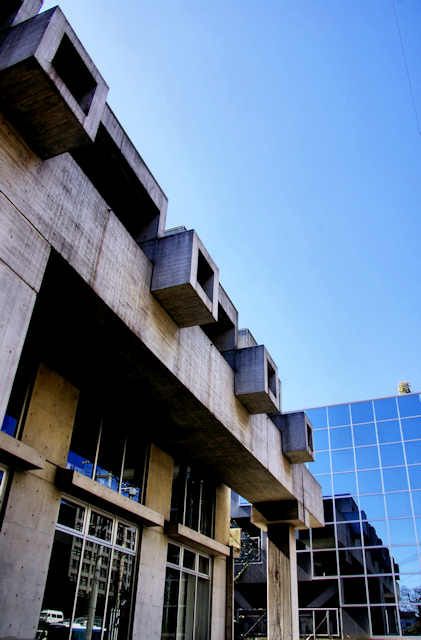 In 1996 the library moved to a new building, but rather than demolish the original it was renovated by Isozaki himself and turned into an arts center called Art Plaza. Ema, votive plaques, can be found at many shrines and temples and nowadays are usually a standard size and shape, though variations abound. The heart shape is becoming more common and its purpose is fairly obviously to petition for finding a lover. 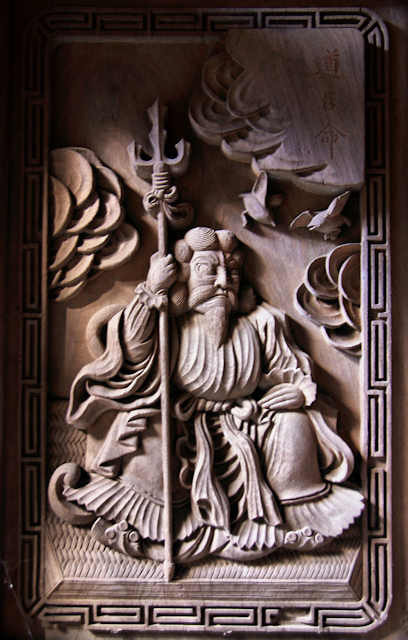 Ema are usually wooden, but these are made of ceramic. The other ceramic ema are in the shape of miniature kawara, rooftiles. 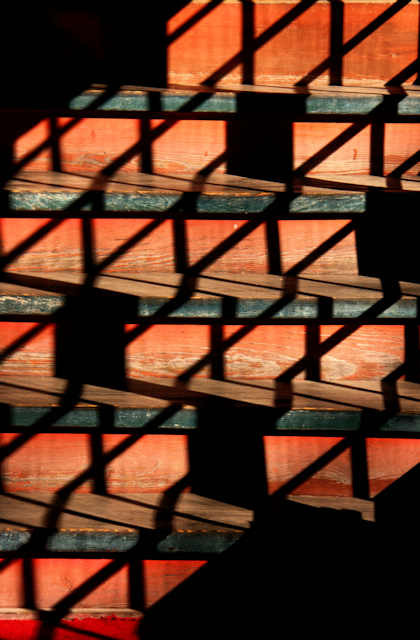 Found at Zuiryujimirakumogosho, a small temple on top of Mount Hachiman in Shiga. 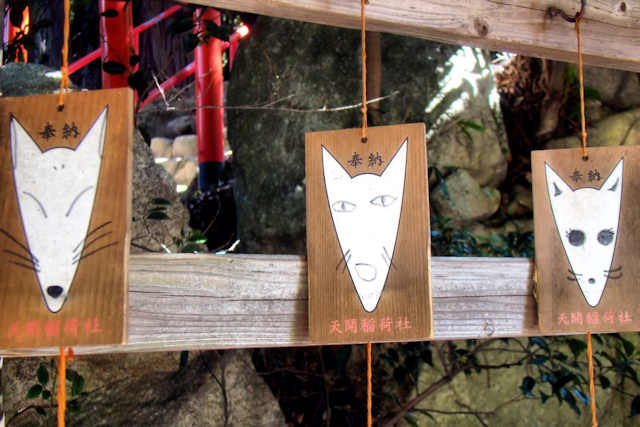 These unusual ema I found at the Inari shrine on the hill above Miyajidake Shrine in Fukuoka. The petitioner draws or paints a face onto the blank face of the fox. 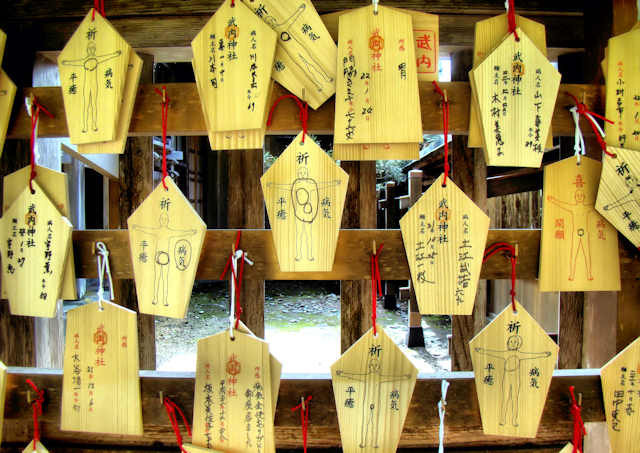 These ema at Takeuchi Shrine in Higashi Izumo have a blank human body shape on which you mark which part of your body you have a problem with that you ask for healing. 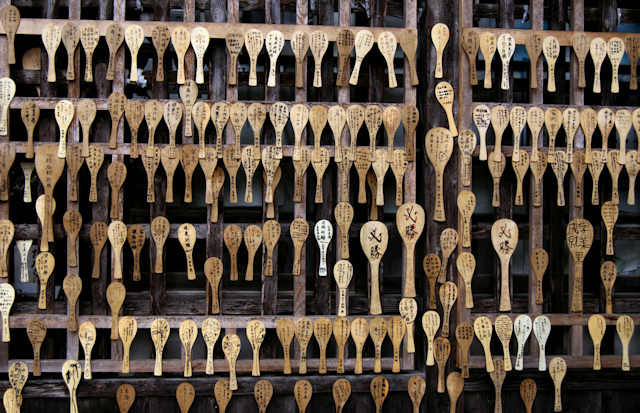 These spoon shaped ema can be found at many places. They are rice scoops, in Japan sukuu, but the word pronounce the same but written with a different kanji means "save", as in salvation. 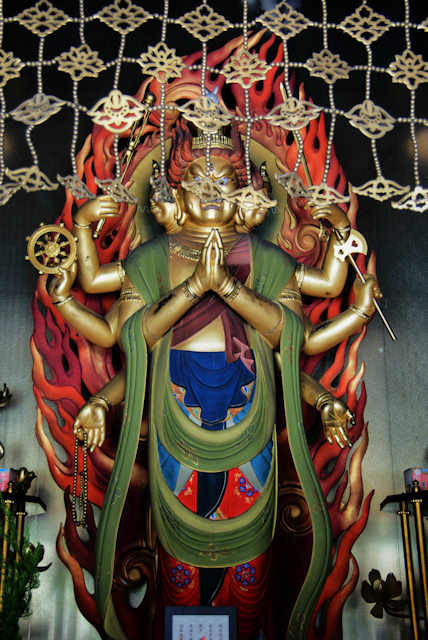 These are at Rakan-ji, a temple near Nakatsu in Oita. At Nangu Taisha in Gifu there were the standard shaped ema as well as circular ones and some shaped like toy dogs. 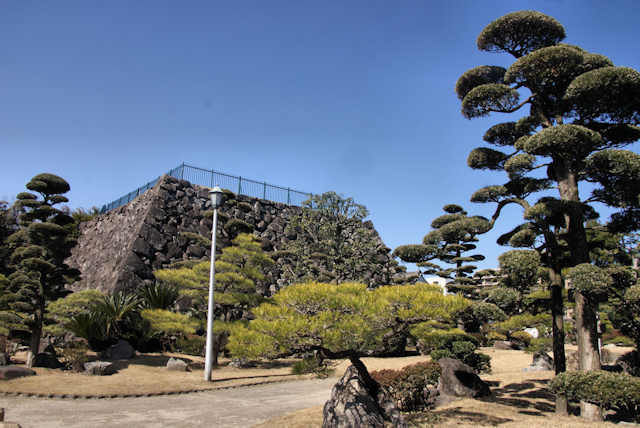 The ruins of Funai Castle are in downtown Oita City, though when it was built this was the coast. Some form of catle was here in the mid 16th Century, but its current form soidified at the end of the 16th century. 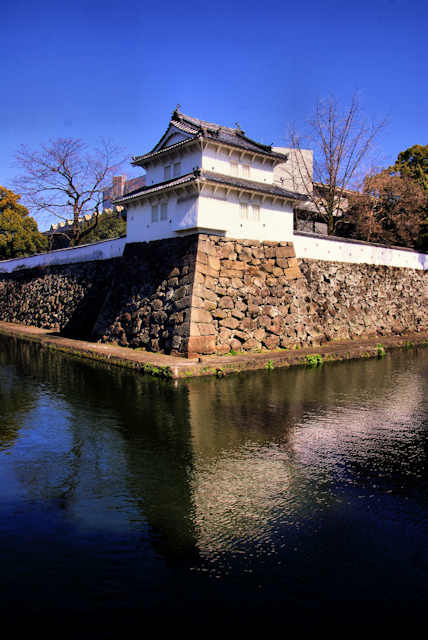 It is most famously known as one of Otomo Sorin's castles though he was defeated here by the Shimazu in 1586. Sorin is probably the most well known of the Christian warlords. 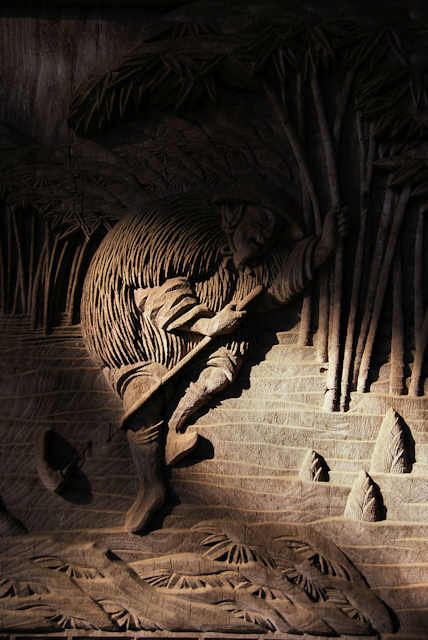 Hideyoshi helped him retake the castle but later took the fief away from Sorins son. Most of the castle burned down in 1743 and like most castles was decommisioned in 1872. 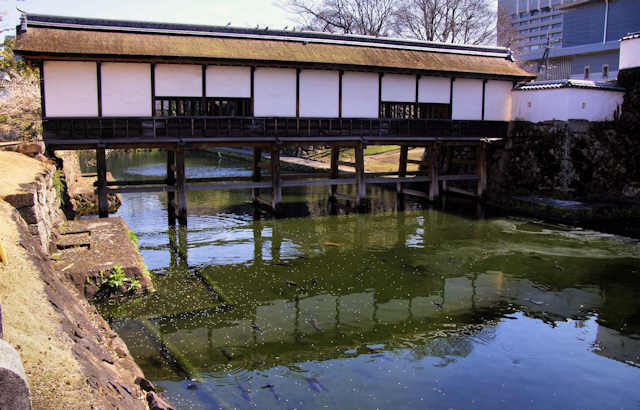 The main gate and two towers were reconstructed in 1965 and in 1996 the covered bridge was restored. 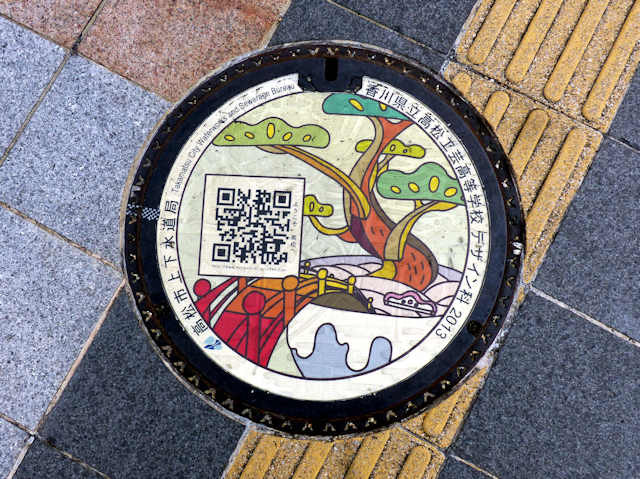 It is now a free park and a popular spot for cherry blossom viewing. At the end of the tenth day of my walk along the Shikoku pilgrimage I was at Saba Daishi, a small temple on the coast near Mugi. I spent the night in their tsuyado, a free room for walking pilgrims to spend the night. 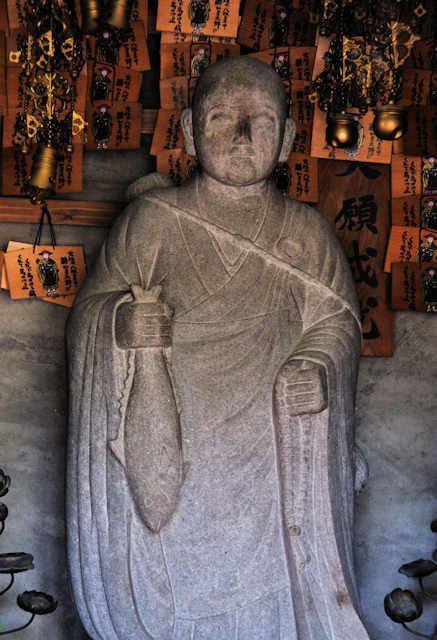 The name Saba Daishi comes from a legend concerning Kobo Daishi and a mackerel seller, hence the statue of Kobo Daishi holding a mackerel. 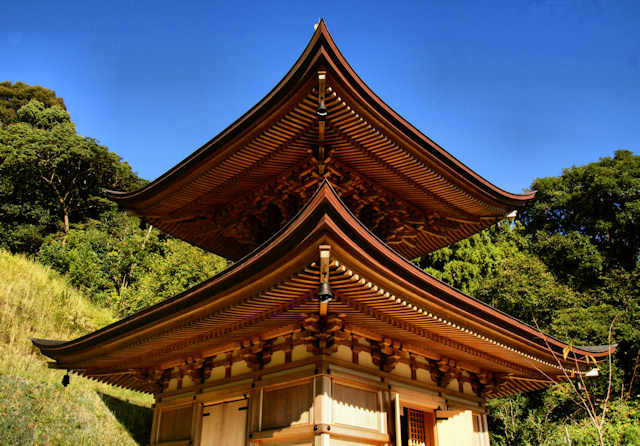 It is one of the "bangai" temples, 20 extra temples added to the 88 to make the round figure of 108, the number of beads in a Buddhist rosary, the number of times the bell is rung at the new year, and the number of earthly desires we mortals must overcome to attain enlightenment. 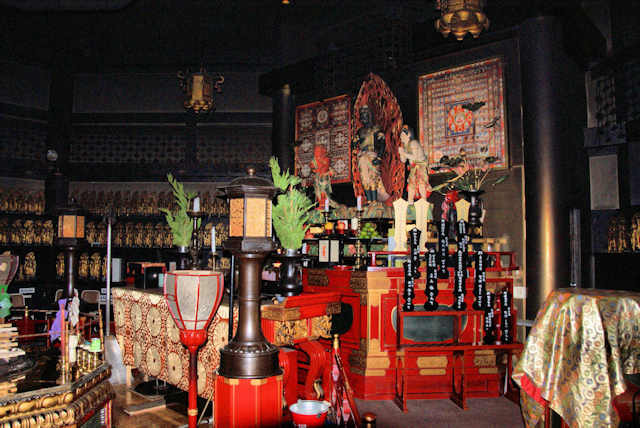 The Goma-do, the hall where the goma ritual is performed in front of Fudo Myo, is underground in the hillside, and a tunnel leads to it. 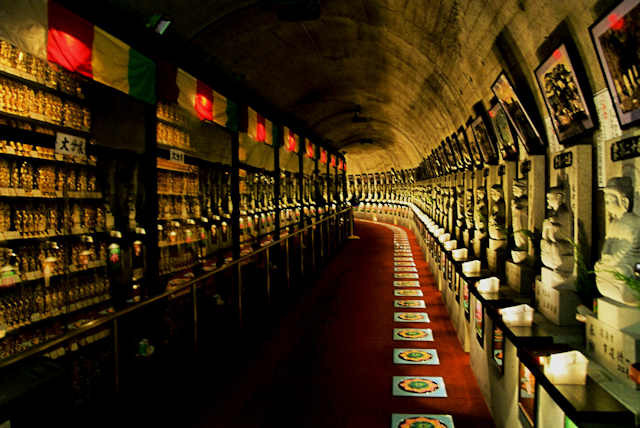 Lining the tunnel are 88 statues representing the 88 temple of the pilgrimage. 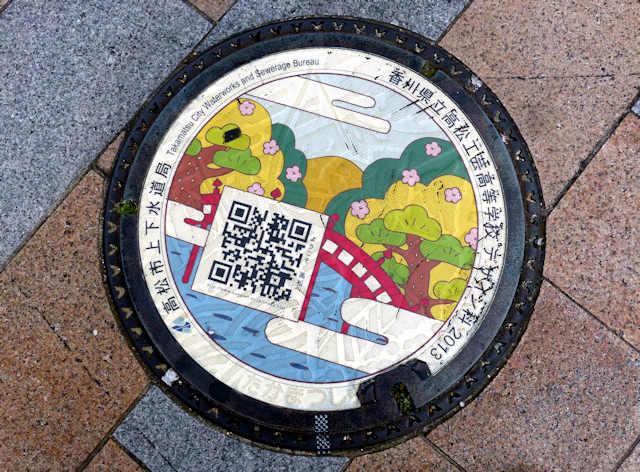 If one steps on each of the 88 tiles it is a miniature version of the whole pilgrimage. 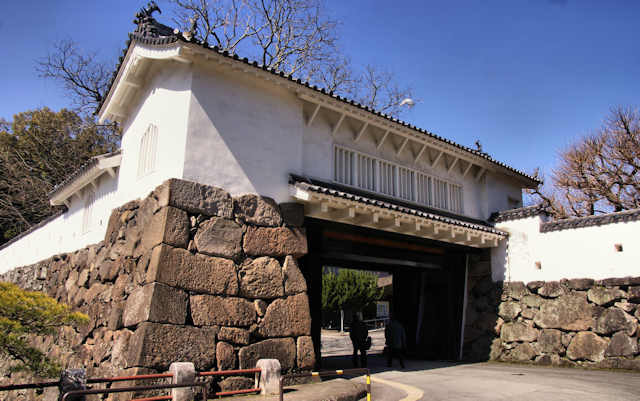 The Great South Gate, located halfway up the stepped slope leading to Yusuhara Hachimangu Shrine in the mountains outside of Oita City was built in the 17th Century and rebuilt in the 19th Century. 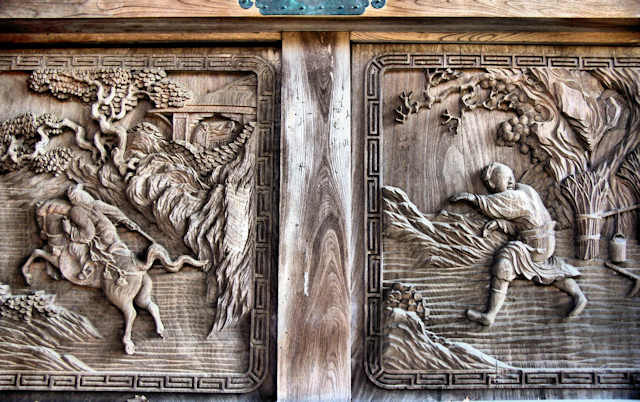 As well as the usual collection of carvings of mythical beasts and such that adorn many such temple and shrine gates, it has a collection of carved relief panels illustrating the 24 Paragons of Filial Piety. 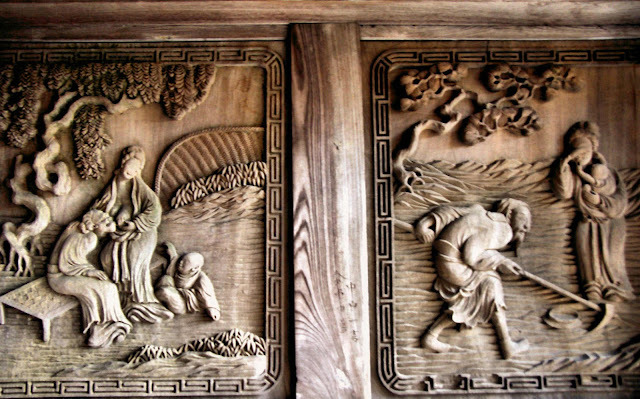 Written in China in the 14th Century, the book was a popular way of learning about Confucian morality. 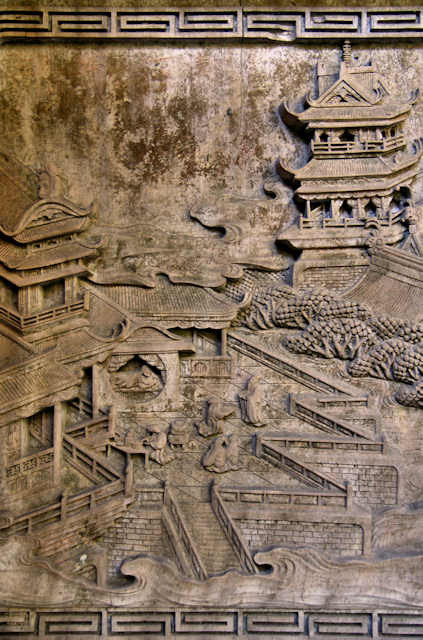 The use of the relief illustrations probably is connected to the rise of Neo Confucianism in Edo Period Japan. 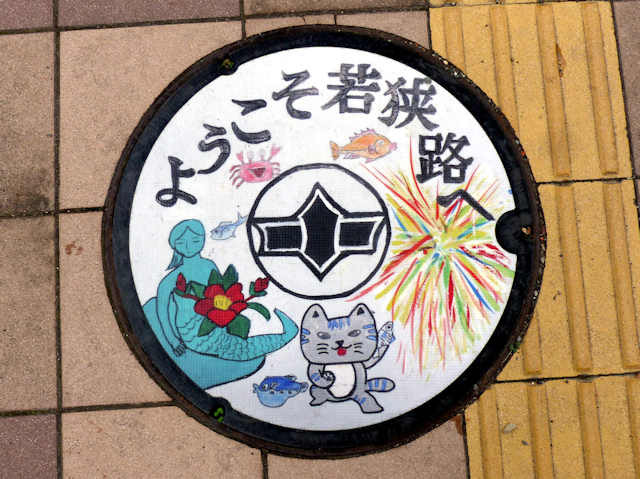 On some recent travels I came across a couple of towns that have their manholes designs designed by children. 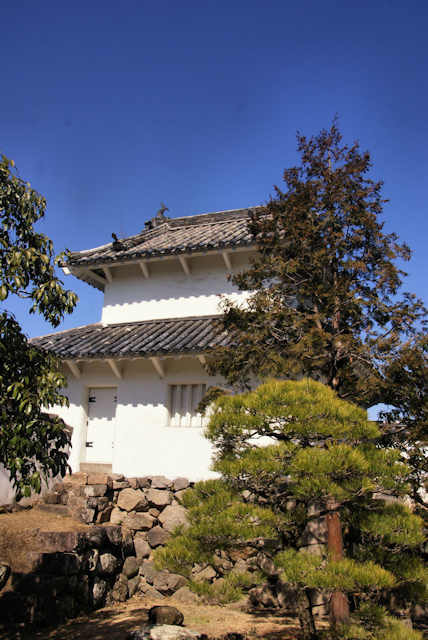 The first was Takamatsu in Kagawa on Shikoku. These first three designs were all executed by high school students at a local arts & crafts High School. 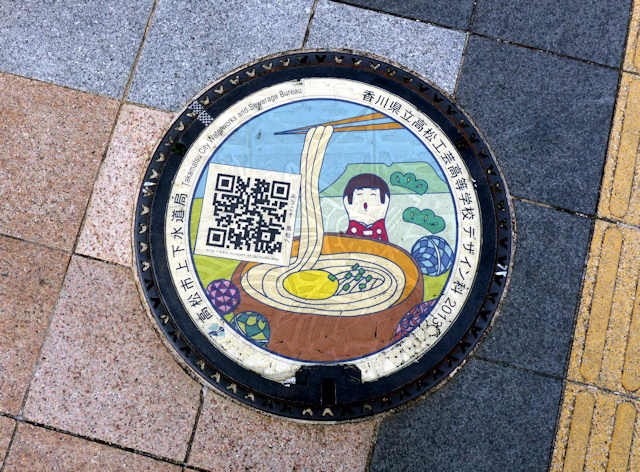 2 of the designs show views of the famous Ritsurin Garden located in Takamatsu, and the middle design features Sanuki Udon, the noodle speciality of the area. 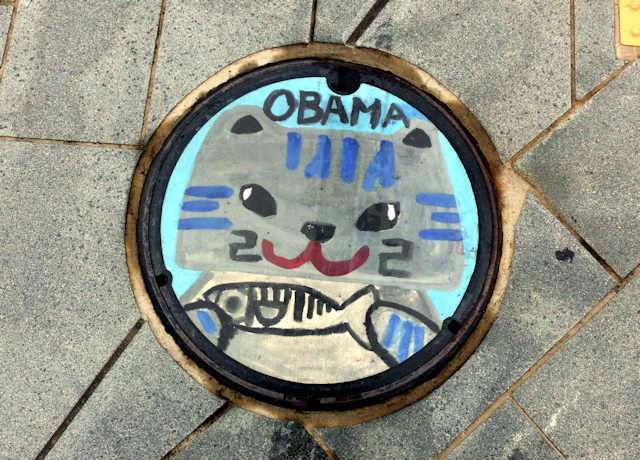 The other 2 designs come from the town of Obama on the Japan Sea coast in Fukui, and these were done by obviously much younger children. 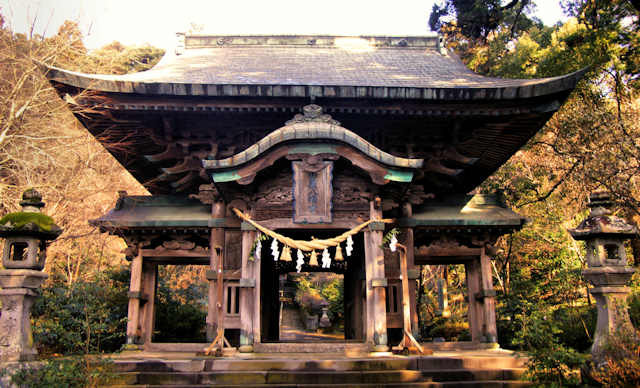 Yusuhara Hachimangu Shrine was the major shrine of what is bow called Oita City, and is located in the mountains to the west of the city proper. 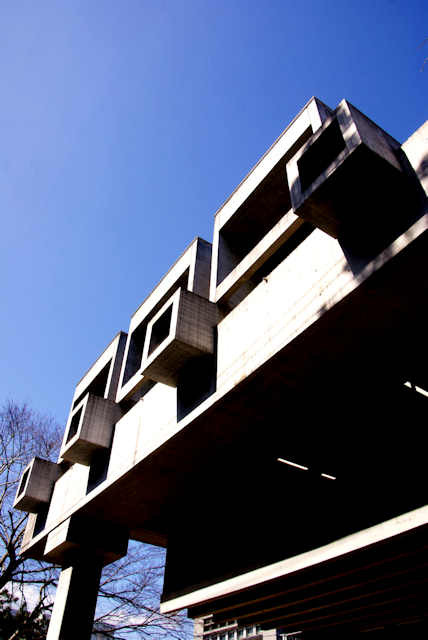 I visited in a loveky sunny morning in February 4 years ago on my walk around Kyushu. 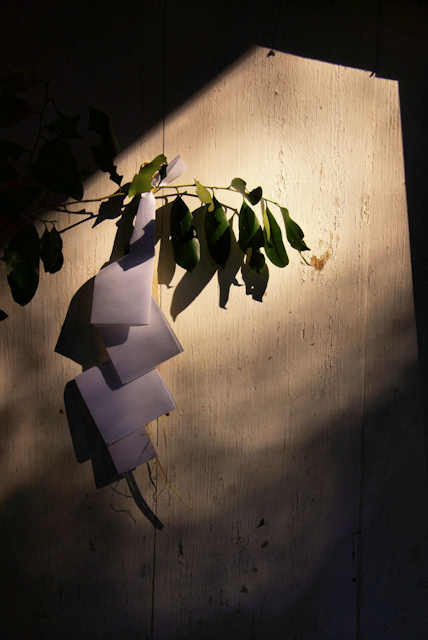 The low winter sun made for some great photos so that is what I post now, and will post on the shrine itself later. 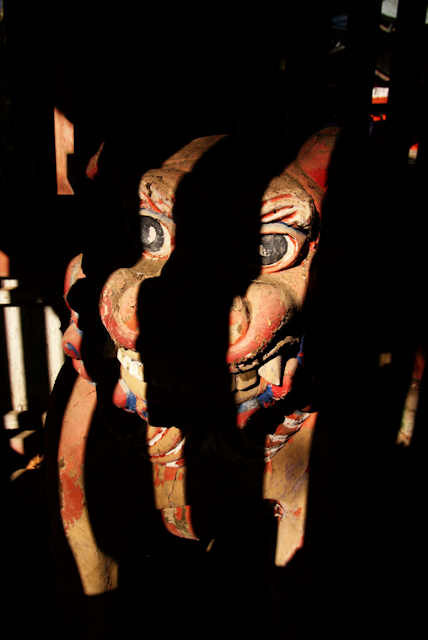 The first photo is one of the pair of wooden komainu in the gatehouse into the main shrine compound. 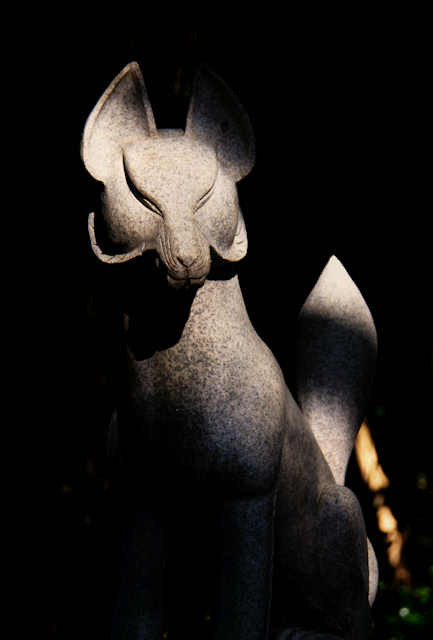 The second photo is of the steps leading up to the honden, and this third id of one of the fox guardians at an Inari shrine in the grounds.